10x faster than a HDD - With incredible read/write speeds the A400 SSD will not only increase performance but can also be used to breathe new life into older systems. Rugged - A400 is shock- and vibration-resistant for rugged reliability when used in notebooks and other mobile computing devices. Multiple capacities - Available in 120GB, 240GB and 480GB capacities, A400 is designed to suit anyone's needs. Ideal for desktops and notebooks - A400 has a 7mm form factor to fit in a wider array of systems. It's ideal for slimmer notebooks and in systems with limited available space. View other products from Kingston Technology Corp.
Returns are subject to restocking fees and return shipping fees. Please click here to learn more about restocking fees and return shipping fees. This item is covered by Newegg.com's International Order Return Policy. Cons: It feels like a toy, I would like it to be more tough in the feelling! 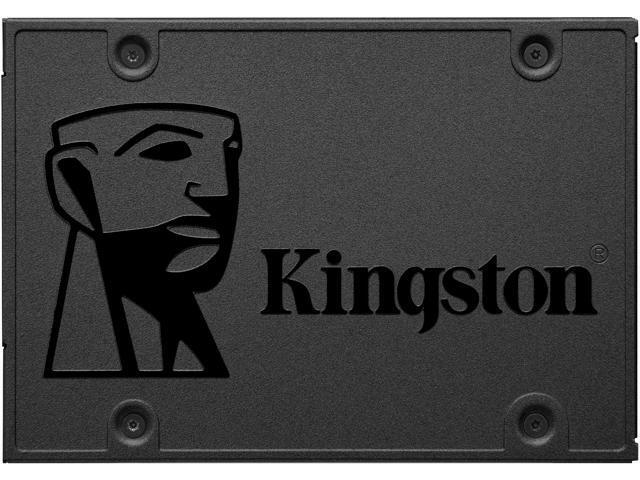 - A little slower than expected for an SSD, especially from Kingston but a minor gripe. Other Thoughts: I would highly recommend this product to anyone with an older laptop or desktop PC looking to breath a little speed back into it's existance. Fantastic OS drive, works very well with Windows 10, no setup needed, just remember to enable AHCI in your BIOS so the drive is recognized without issues. I will certainly be purchasing another when the price or IF then price drops back to wholesale market prices. Other Thoughts: - I would recommend this SSD for the very fair price, does what it's supposed to. Cons: -The packaging is not the best, i doubt it would protect it much. Other Thoughts: This is a fast drive for the price, but i am not sure if i would trust it for hard gaming or 24/7 use, although it has ran pretty well as a boot drive with windows 10. 0 out of 3 people found this review helpful. Did you?